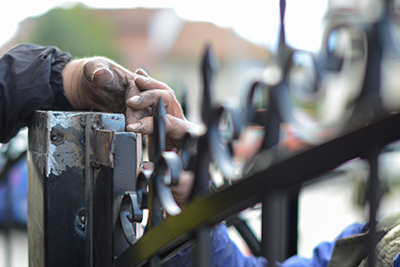 Getting a new gate is very exciting, but don't waste all your energy and enthusiasm on finding the best ornamental iron gates. Aesthetics are important, but not as important as your convenience. You might think it's easier to choose the way the gate by the way it opens than deciding among steel or wood, whether to have the family's emblem installed or not, and whether to make it short or tall. 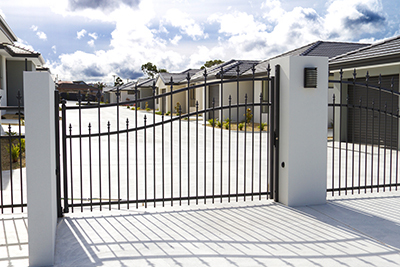 The truth is that everything is essential when it comes to gates since they are the first thing you and your visitors see, are installed to secure the premises and must allow you to come and go with ease. The good news is that nowadays there are many choices. By getting the right wood or steel gate, you can satisfy all your needs regarding good looks, convenience, security and safety. So, it's good to know the basics, follow some simple rules and take a good look of your property before you sign the check. Invest in your convenience first. If you can't open the gate all the way due to space limitations, your swing gate might be a bad choice. So, take into consideration slops and abnormal terrain parts of your property if this is the very first time you are installing a gate. 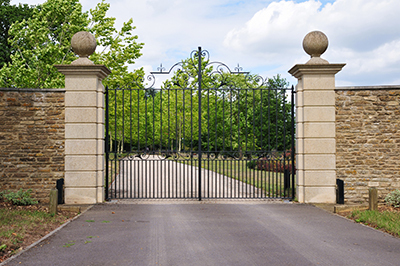 The most common gate types are the sliding and swing ones. Those with lots of space can also install cantilever rolling gates. These differ from the regular sliding ones in the way the panel is supported. Instead of running on sliding gate wheels, cantilever systems hang over an extra fence structure on the one side and are supported by rails. On the other hand, swing gates are often more convenient as long as you have enough space in the driveway. Since they are supported by swing gate hinges, it's best to get two panels instead of one to counterbalance the weight. After all, it's easier to open two panels instead of one, which occupies too much space. 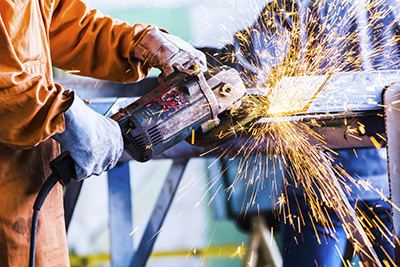 It's also best to weld-on the hinges for greater support and make sure the posts have deep foundations. Your convenient access will also be ensured by the right choice of openers or even gate intercom systems. Thanks to the installation of such systems, security is also enhanced and if you take care of it, you will also be sure of your safety. As for the aesthetics, if you want to add a more formal façade at your property, ornaments will be the best choice. If you like minimal and informal structures, forget about curved tops and complicated metal work and stick to simpler solutions. They will still look lovely!